As the miles markers passed, I was so grateful to return to this land I’ve come to appreciate so much in the last 3.5 years. Back from meetings with the College of Regional Ministers, General Ministry Leaders, Higher Education Leaders, and General Board. Back with hope, because we are moving on the questions: “Can we envision an place to have a whole-church conversation on God’s mission for the Disciples today? and Can we create a mechanism to hold us accountable to that mission?” We set an aggressive goal to have a broad conversation and specific proposal by the next General Board meeting in 2015. Please join with me as we seek together for a Word from God on mission, may it shape our life. Teresa, you may already be a follower of this blog. I find Richard Beck’s thinking challenging (and on target for where we are in the mainline as we navigate these waters). 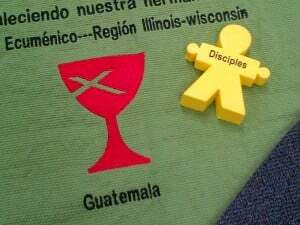 Yesterday’s post (2-11-2014) came to mind when I read your post today about the mission for Disciples today and commitment to a whole church dialogue. For me, any dialogue worth having must move far deeper into the waters than structures, programs, rituals and forms. We need to address our place in and mission with a culture that may be ripe for what Bonhoeffer called “religionless Christianity”. Lots to think about.